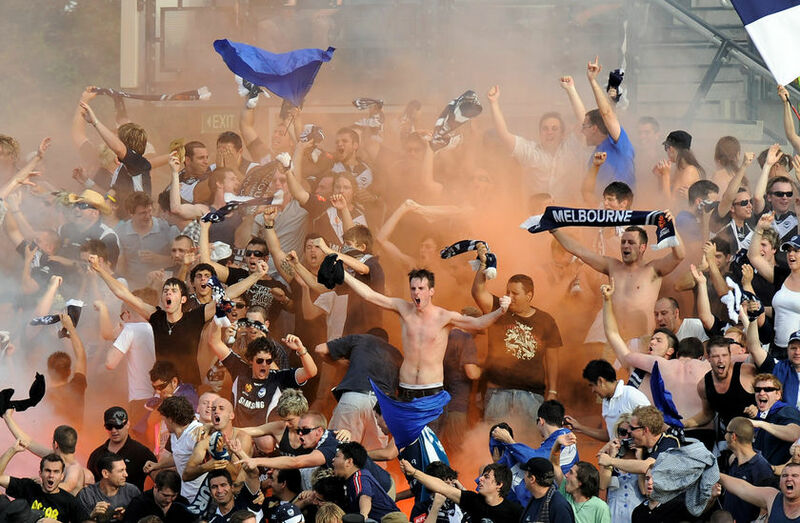 After the introduction of the Melbourne Heart into the A-league and the recent “mutual termination” between Melbourne Victory FC and their former coach Ernie Merrick, it is becoming clear that Melbourne Victory’s fans are some of the most expecting and unappreciative in the A-league. Merrick has always had a rocky relationship with supporters with many of them never warming to Merrick despite his impressive record in the six seasons he was in charge. In those six seasons Merrick won two A-league titles, two minor premierships and was also voted A-league coach of the year twice not to mention coming runners up in another. One would think that record would make Merrick a favourite amongst supporters but that has certainly not been the case. As a former Victory supporter myself, before the introduction of Melbourne Heart, I was strongly behind Ernie Merrick as he continually got impressive results for the club. His game style was attacking although sometimes dour and his bland and emotionless demeanour when in the public eye was enough to make you cringe but ultimately he got what was most important and that was the results. This did not seem to satisfy most fans and this has a lot to do with the culture among the Victory supporters where tall poppy syndrome was a common occurrence. Merrick was not the only person at Victory to constantly feel the wraith from the supporters despite good results, Danny Allsopp the Victory striker was the recipient of a lot unfair criticism. Allsopp sits fifth in the all time A-league leading scorers charts with 42 goals while only playing 4 and a half seasons in the A-league. This shows the remarkable goal scoring touch of Allsopp throughout his A-league career yet the disapproval from fans is still above most other Victory players. This behaviour is not just related to the lack of support to certain coaches and players. The Victory fans continually cause trouble at games, crave constant attention from the FFA and selfishly put their own interests above that of the club. This culture among the supporters has seen Danny Allsopp and Ernie Merrick singled out despite their strong team ethic and overall good results. If the Victory want to be able to continue excelling on and off the field their supporters need to be given a reality check to show them that if they continue to cause trouble and trash their own club, more players and coaches like Mate Dugandzic will start swapping the blue half of Melbourne for the red half. This entry was posted in Soccer and tagged A-league, Danny Allsop, Ernie Merrick, Melbourne Victory. Bookmark the permalink.